Sometimes a quilt speaks through piecing, but sometimes the fabric itself needs room to speak. These oversized Hourglass Blocks give the fabric the space to do just that. 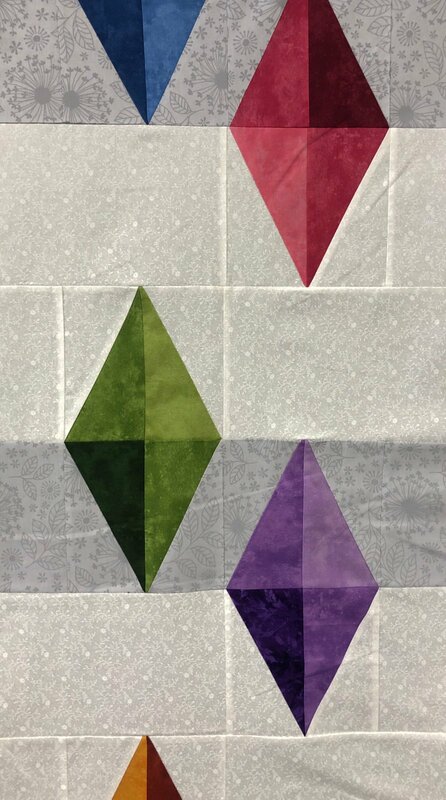 Choose colors from your stash with just enough contrast, and make this quilt one of a kind. Requirements: Please read supply list and bring your supplies. If you would like supplies put aside for you, just ask!